The contamination and fraudulent practises in the sale of meat products run alongside that of vegetables, fruits, edible oils, milk products and spices, as well. 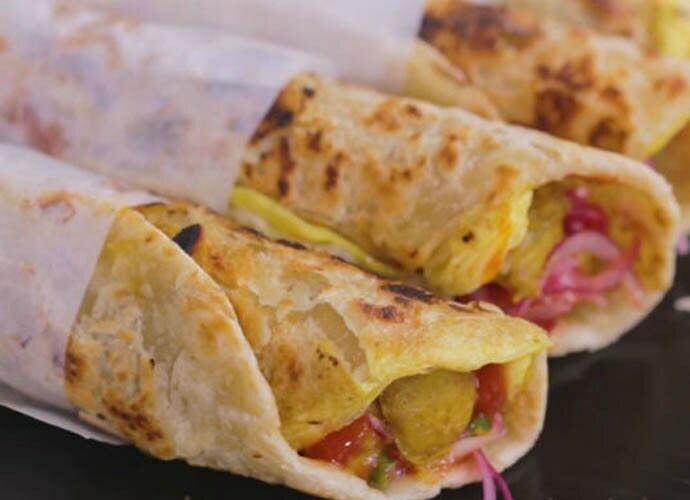 Those who have grown up in Kolkata might be familiar with an urban legend that a popular roll outlet near the Gariahat used to sell "dog meat" in the name of chicken and mutton rolls. It was a standard joke, especially among college students, which however nether stopped the footfalls at the food outlet, nor did it diminish the enthusiasm for the famous Calcutta roll that was practically the staple snack of the city, known for its culinary delights. No one really bothered to find out the truth behind this rumour, or whether this was true of other roll outlets in the city as well. Those were messy days when one didn't check licences and registrations of one's favourite haunts, and the food was cheap and tasty. Still is. The filth that was a permanent installation outside the Calcutta Corporation on Suren Banerjee Road was pretty much an example of the apathy towards public hygiene and safety, and one was practically playing with one's life by deciding to eat street food. In the early 20th century, Bengali humorist Parashuram wrote a short story called "Bhushundir Mathe" in which the protagonist, Shibu, goes on a binge in the fleshpots of Calcutta, and then dies of food poisoning. 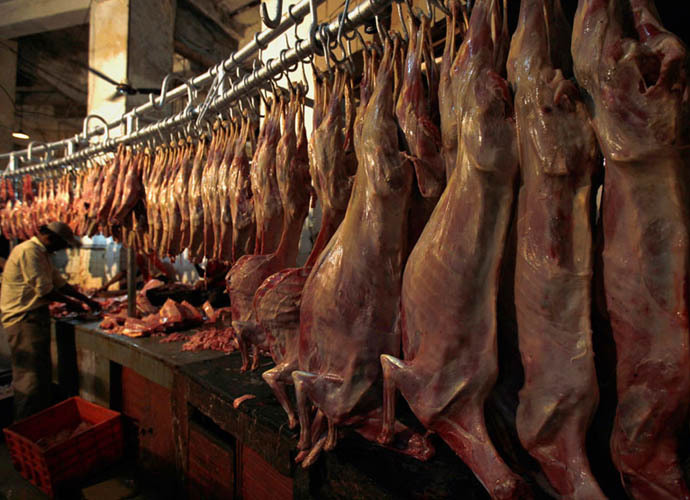 Now, after 20 tonnes of carcass meat of cats and dogs being discovered, allegedly packaged and kept in cold storages, and distributed to food outlets throughout Kolkata, the city has been jolted out of slumber. According to reports, the sale of non-vegetarian food items like mutton, pork and chicken has halved across restaurants in Kolkata, and the Hotel and Restaurants' Association of Eastern India (HRAEI) has issued an advisory to its members asking them to stick to buying meat only from registered suppliers. Here is a description from one of the police officials involved in the investigations: "First they would wash the meat with formalin. Then they separated the fat from the meat to arrest rotting and inject calcium propanoate (as a food additive). After that it was mixed with aluminium sulphate and lead sulphate to get rid of the foul smell and then packed and supplied to different markets and restaurants." Panic has set in, and for a few days, Kolkatans are going to be concentrating on fish, prawns and vegetarian dishes, not just at the roadsides, but also bonafide restaurants. That is, until the customary apathy and suspension of disbelief sets in again. But to see this incident in isolation from the general climate of woeful lack of food safety standards that has been the norm in India is to continue living in denial. The contamination and fraudulent practises in the sale of meat products run alongside that of vegetables, fruits, edible oils, milk products and spices, as well. One of the first scandals to have shaken the nation was the beef tallow in vanaspati incident back in November 1983. The then commerce minister VNP Singh angrily accused the former Janata Party government of approving beef tallow imports. Singh declared, "Pages of your import policy are smeared with tallow and not ghee." The Vegetable Oil Manufacturers Association claimed that the one million-tonne annual national consumption of vanaspati had fallen off by 30 per cent. Restaurants began removing signs boasting that they used "pure" vegetable oil and some Hindu temples in northern India started refusing to accept sweets and food offerings believed to have been prepared with vanaspati. Seven years after a cinnamon planter, Leonard John from Kannaur, Kerala, campaigned to create awareness among consumers about the difference between cinnamon and cassia, a cheaper substitute, which is often passed off as cinnamon in shops, how many are aware of the difference and the health hazards of cassia? Cassia contains coumarin, which is a chemical used for making rat poison. According to the Food Safety and Standards Authority of India (FSSAI), low doses of coumarin consumed over few months can cause liver damage. It could also lead to secretion of liver enzymes in blood, inflammation of liver and might even cause jaundice in some cases. In 2003, 2010, 2012 and 2013, pre-Diwali raids in different parts of the country at sweet outlets and godowns unearthed contaminated and poisonous sweets in tonnes that contained the deadly pathogens. 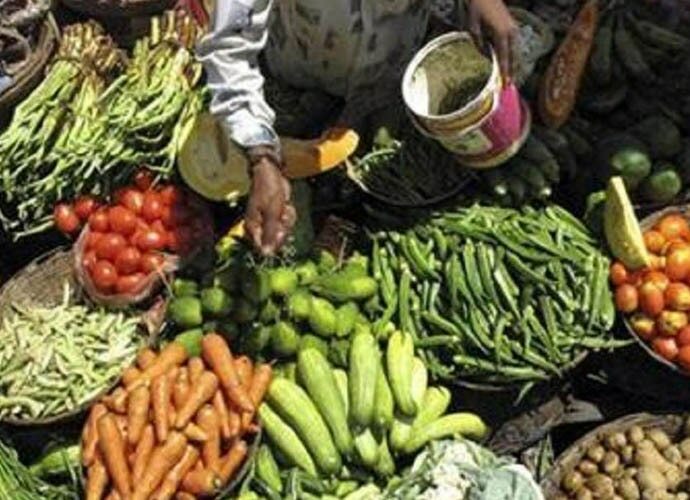 Although FSSAI has banned the use of calcium carbide as it is carcinogenic, these chemicals are still used to ripen fruits like bananas, apples and mangoes and sold by the friendly neighbourhood vendor. It is an open secret in the mandis and department stores throughout the length and breadth of Indi, that perishables such as vegetables, meat, and fish that do not get sold at the end of the day make their way into the chain of profiteering, at a tenth of their retail price, that results in them ending up in downmarket bars and restaurants where they are served to customers after being heavily spiced. In 2017, the health department of Rajkot Municipal Corporation conducted a raid for the second time on a restaurant named Jaddu's Food Field, run by cricketer Ravindra Jadeja's sister Naynaba, and found stale food, rotten vegetables, and other items. From rat poison found in vegetables and Diwali sweets laced with caustic soda, to batches of moonshine liquor that kill scores of people at a time, adulteration is rife. A report by FSSAI in January 2012 found that most of the country's milk was watered down or adulterated with products, including fertiliser, bleach and detergent, used to thicken milk and help give it a white, frothy appearance. Avoiding meat and taking to prawns and fish may not help the residents of Kolkata much. Rivers and ponds in West Bengal are now a virtual cesspool of toxic waste. Concentrations of mercury in fish are far higher than prescribed limits. In 2009, two NGOs, Toxics Link (New Delhi) and Disha (Kolkata) studied 60 samples of fish and various varieties of crabs from markets across Kolkata and 204 samples from the Ganga at Farakka, Damodar and Jharkali in the state as well as from water bodies of the east Kolkata wetlands. The results were alarming. The percentage of methyl mercury in the samples was 70 to 500 per cent higher than the limit set by the Joint Food and Agriculture Organisation (FAO)/World Health Organisation (WHO) expert committee on food additives and the Prevention of Food Adulteration Act and Rules, 1954. Again, in 2012, another study based on samples collected from the Ganga in West Bengal by M Pal, S Ghosh, M Mukhopadhyay and M Ghosh of the University College of Science and Technology, University of Calcutta, found a strong correlation between mercury levels in muscle with food habits and fish length (age). Contamination in katla, mottled eel, chital, rita and pabda was above the 0.25μg Hg/g of wet weight, the limit set by the PFA for the maximum level for consumption of fish exposed to methyl mercury. In bhetki and tangra, the levels were threatening. The 2009 study by Toxics Link and Disha was submitted to the West Bengal Pollution Control Board (WBPCB). Nine years later, no local level programme has been initiated to address this issue. After the story on the carcass meat broke there has been a noticeable exultation in the ranks of the vegetarian evangelists on social media of the we-told-you-so variety. Here are the facts on contamination of grain and vegetables. Random samples of foodgrains and vegetables like polished rice, red lentil (masoor dal), red spinach, spice (cumin seeds) and medicinal herb (Tulsi) were collected from 12 roadside markets across north, south, east and west Kolkata. Soil and vegetable samples were also collected from Dhapa, along the EM Bypass, for a study released by the Geological Survey of India on October 2017. All these samples were collected to compare their lead isotopic ratios and lead concentration with that of food items sold on the city's streets. The maximum lead concentration was found in rice from the markets of Kidderpore at 14.39 mg/kg. For red lentil samples, the content varied between 1.82 and 7.44 mg/kg. As per the American and European standards, the current reference range for acceptable blood lead-concentration in a healthy human being, without excessive exposure to environmental sources of lead, is less than 0.05 mg/L for children whereas it is less than 0.25 mg/L for adults. Coming close on the heels of BJP inroads in West Bengal with their incipient vegetarian agenda, and the 2017 online pamphleteering against fish by some loony fringe elements called "All India Fish Protection Committee", this was expected. 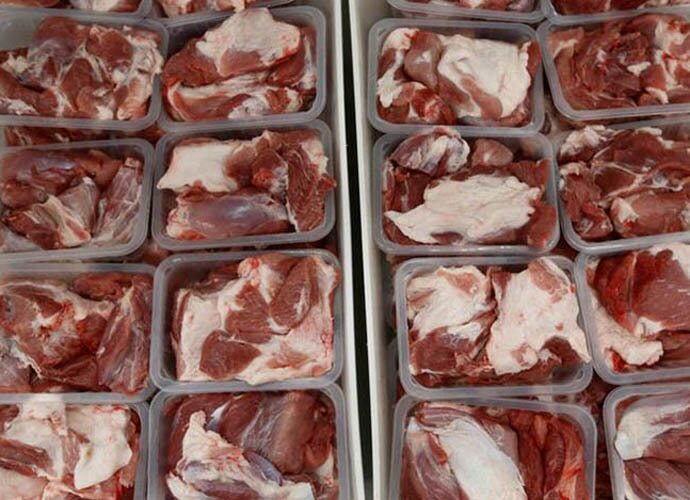 Rotting carcass as packaged chicken/mutton is a fact. But many feel that the scale in which it was presented and the hype has been driven by vested interests trying to encourage a climate aversion towards non-vegetarian food. Their concerns are that these extended discussions about "unhygenic conditions" are engineered to cut off the legs of the small traders and unorganised sector vendors, and finally prepare a red carpet for FDI, Walmart and others to overtake the business of beef, chicken, meat among others. How seriously we must take these concerns or dismiss them as paranoia is moot. But a huge brand is no guarantee of legitimacy or quality as one can see from the frequent reports on KFC, Subway, and McDonald's. A brand is only as good as the people they employ. While eating out raises concerns about food safety, it is also a fact that the average Bengali has a culinary intrepidity that will not allow him/her to stay content with home-cooked food for long. Most Bengalis also have an intimate and personal relationship with the vendors and restaurants of their choice going back years, based on a solid foundation of trust and personal attention. Will a department chain ever be able to replace that bonhomie and trust?